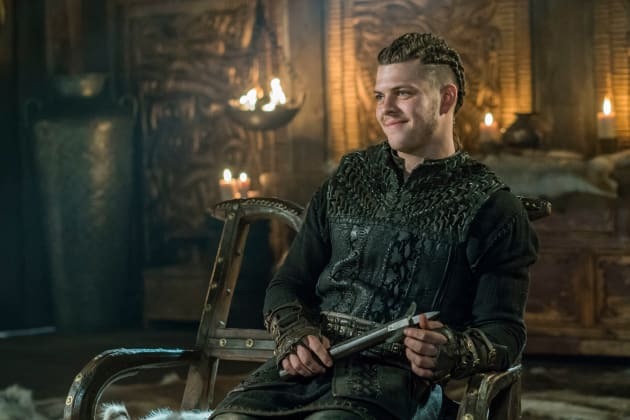 Ivar's smirk is enough to terrify anyone. The way he sits there so calmly with whatever plan is forming in his head could send chills down your spine. 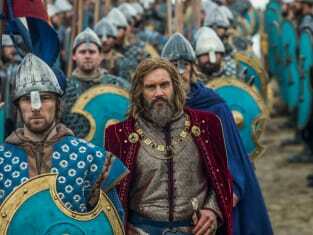 Vikings Season 5 Episode 11: "The Revelation "
Rollo: Of course Bjorn Ironside lives, I taught him to fight! Who can kill him? Ivar: There is someone else who is still alive. The woman that haunts my days and nights. Permalink: There is someone else who is still alive. The woman that haunts my days and nights. Ivar: We obviously want to reward you for what you have done for us. Rollo: Don't worry, you will. We will strike a trade deal which will be extremely favorable to me. We will also make an alliance for our mutual defense so that if I am attacked by anyone, you will send warriors to support me.